Sears Home Warranty service doesn’t aim to offer a single protection plan, but rather, it offers plans that can cover all of your home’s essentials. The insurer reminds potential customers that they’re not affected by Sears’ financial problems (an important fact for anyone considering Sears as an insurance company). The appliance plan covers your major appliances, and the first month of service is free. 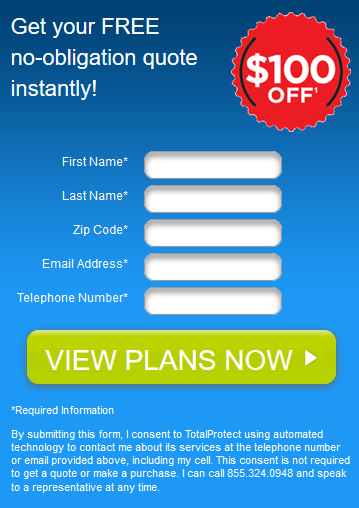 Prices vary from state to state, but in my state, the plan is $49.99 per month. Add-ons in the system’s warranty are the same as in the appliance warranty. The Whole House warranty will cover all of the appliance and system items mentioned above. The price for this warranty is lower than purchasing appliance and systems separately. Exclusive benefits are also offered, including cooling and heating checks, discounts on oil changes and tire rotations at Sears Auto Center and money back in your Shop Your Way points. The warranty program spans 49 states, and the average service fee is $88 (yes, there is a service fee). Sears Home Warranty has been available for years, and when you sign up, you will receive one free month of service. Contract lengths are one year, so you must commit to the warranty program. But there is no cancellation fee if you do decide that the warranty plan isn’t a good fit for you. Plans range from $49.99 to $69.99 per month, and there are also appliance check-up packages that are available. Sears does have a parts center, and this is who you’ll call to order all of your parts. Price matching is available for heating and cooling systems, but not for other services. Installation is also price-matched, but there are a lot of exclusions. Sears is a little behind in terms of technology, and this may be because they have only been offering the warranty service since 2014. There is no mobile app available. Mobile-friendly apps are what competitors are offering, and why Sears isn’t offering this is a major question. Online scheduling is faster because you don’t need to talk to an agent, but it would be even easier if there were an app available. Pricing is higher than the competition in most cases. Sears orders the wrong part often, leaving customers to wait weeks or months to have a repair made. Checks bounce from the company, and this leads some of the customers to have to pay fees for bounced checks. Repair persons take a week or more to come out. Rescheduling is often done without telling the customer, so this is not good for customers that have strict schedules. Replacements can take months, and one customer waited from mid-August until October 31 to have their washer replaced. Sears may ignore requests and calls when a job isn’t done properly or issues arise with faulty parts. Service is seriously lacking at Sears, and hundreds of bad reviews just keep making matters worse. Often, the company will delay service calls until warranties are no longer valid so that the company doesn’t have to replace items. It’s a major problem, and it is one that doesn’t seem to get any better. Some clients have had broken appliances for months (3+ months) with no repair in sight. One customer also had a water heater replaced, and the new item was leaking. The company says the model is not available any longer, so the customer is left with a broken water heater. Reviews are rough, and due to the negative feedback and high pricing, I can’t recommend this home warranty service to anyone at this time..
We recommend that you look at other, better options if you want a home warranty that will protect your home rather than keep you paying without the company meeting their contractual requirements.